A great updated 1 bedroom, + daybed/den, 1 bath, Fish Creek Falls Condo. This home has been remodeled, with Stainless Steel kitchen appliances, granite countertops, new flooring, paint. The den has a daybed, and could be an extra bedroom for guests. 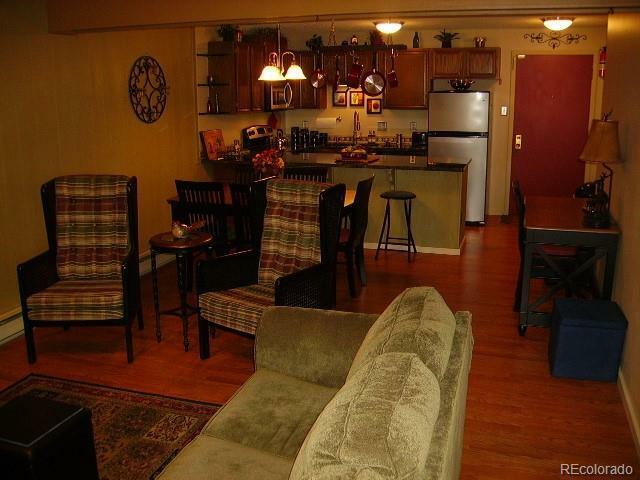 It is on the ground level with walk out deck, and direct access to the yard (great for pets). Awesome views overlooking downtown and Sleeping Giant. Wood fireplace. Furnished. Stackable Washer/Dryer. Pets allowed for owner. Low HOA dues. A storage unit is possibly available - must contact HOA for info. Great for a first time homebuyer, or investment rental property.